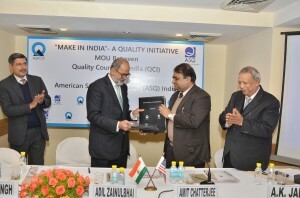 On 5 February 2015, the Quality Council of India (QCI) and ASQ India signed a memorandum of understanding (MoU) to assist in fulfilling Prime Minister Narendra Modi’s “Make in India” national initiatives, and to launch sector focused quality programmes in India. 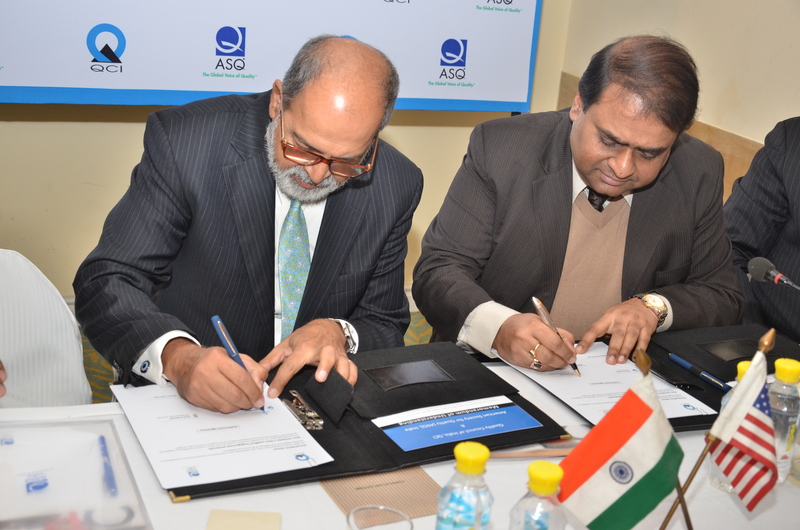 QCI Chairman Mr. Adil Zainulbhai, who is the special appointee of Mr. Narendra Modi, and ASQ India's Managing Director Mr. Amit Chatterjee who is an ASQ Fellow, signed the MoU at a QCI organised function at India Habitat Center which was attended by leaders drawn from academia, Industry, healthcare & government. 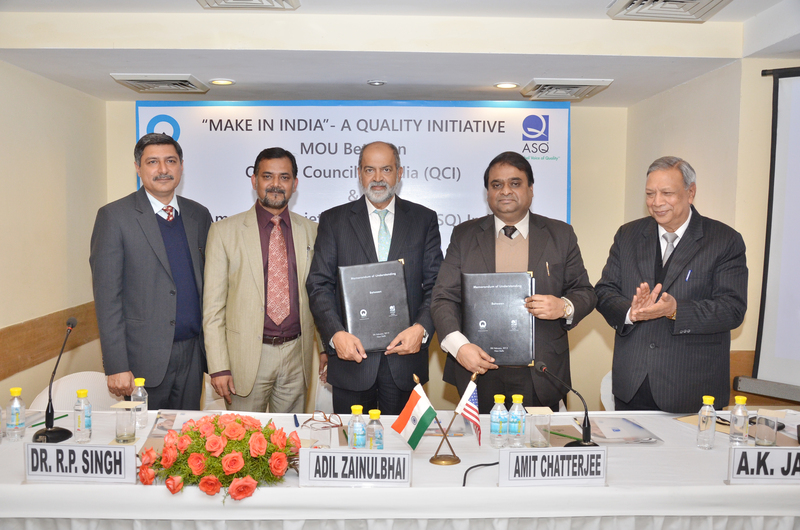 The MoU is designed to institutionalize the global best practices based on its universally recognized body of knowledge (ASQ BoK) for enhancing process & people performance in manufacturing, health care, education, and service industry. The ASQ BoK is delivered through the process of capabilities assessment and up gradation through implementation of standard, training & certification. 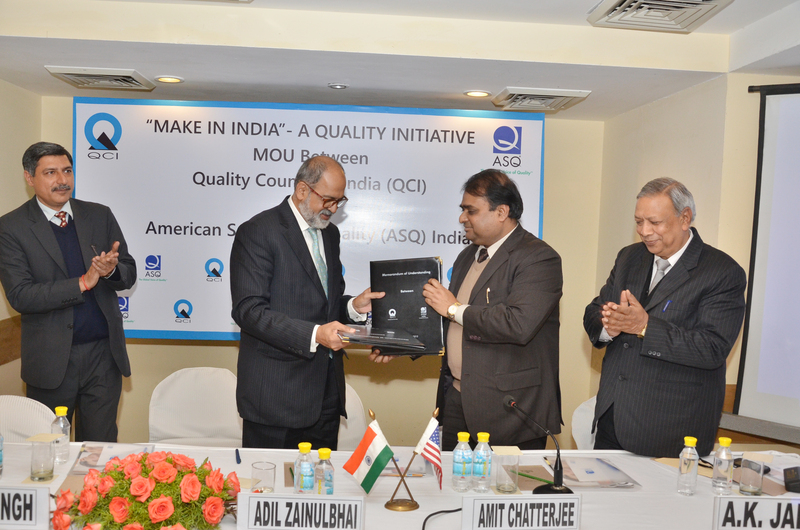 QCI and ASQ India will act as an integrated catalyst to initiate joint activities in those sectors for enhancing their competitiveness. With members and customers in nearly 150 countries, ASQ brings together the people, ideas and tools that make our world work better. Through its training, certification, conferences and knowledge offerings, ASQ provides a global network of the best quality resources and experts. The alliance has created a pathway for execution for the vision of "Make in India" to enable national competitiveness and well being of its citizens. There is a fresh optimism as the two professional organizations of the world greatest democracies joined hands to address the challenges that hold the keys to the development which would have global impact .